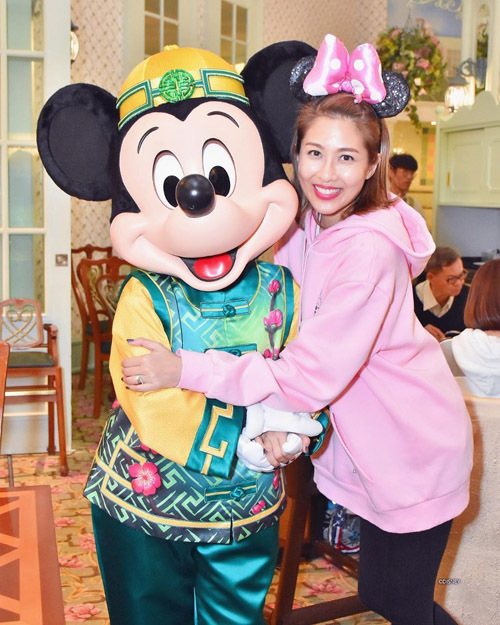 Turning 40 years old on January 17, Sharon Chan (陳敏之) celebrated earlier with her good friends in the entertainment industry. 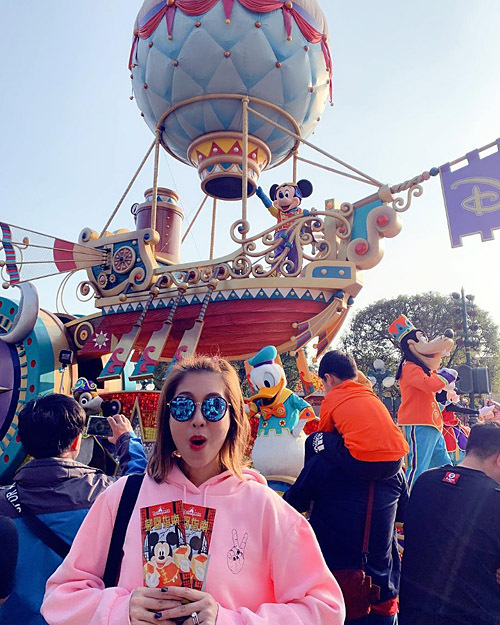 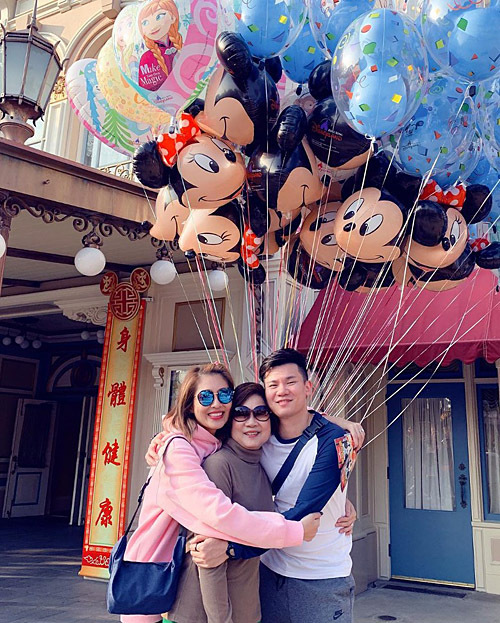 As this is a big milestone, Sharon continued the celebrations with her family, gathering her husband and two-year-old son Eddie, as well as her mom and younger brother to have a fun outing at Hong Kong Disneyland. 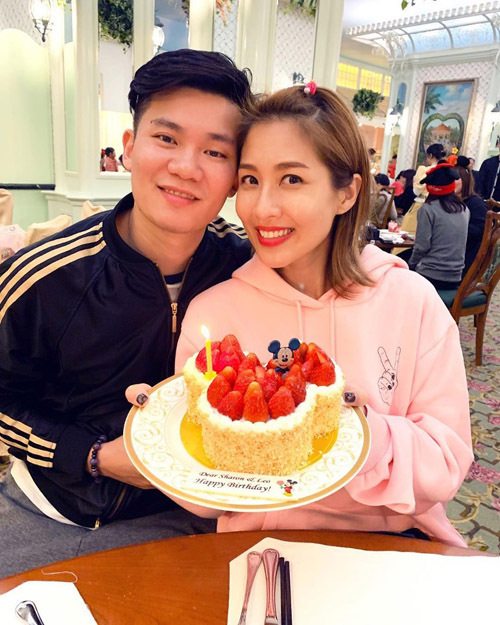 January also happens to be her brother Leo‘s birthday, so the siblings happily cut their cake together. 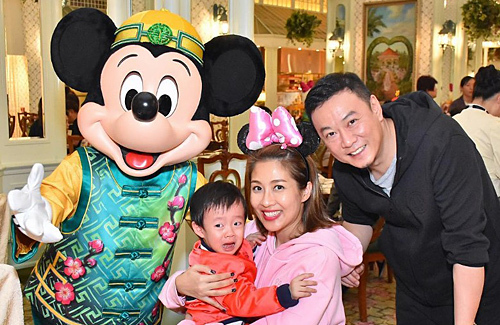 Sharon was thrilled when she saw Mickey, but her son seems to be scared of the costumed character and cried in their family photo together.